The handing over of the occult business from Judge to Tingley as the new torch-bearer of Truth in 1896 was polemical attacked in many publications in the following decades by Theosophists, who claimed that with Blavatsky and Judge the succession had stopped or that HPB has had no successor and was unique or that other persons were the right successors. The subject became more complicated by the fact, that both Judge and Tingley was not allowed to speak publicly or to exoteric TS members about their true occult standing as amanuensis and Outer Head of the Masters of Wisdom, obviously because of the “engineering”. But in 1976, eighty years after the incidents which happened in New York City, Iverson L. Harris has published an article about the quarrel of Judge’s notes relating to Tingley , clarifying this chapter. In 1979 Elsie Benjamin, secretary to both Tingley and de Purucker, made a statement, which was published in 1985, clarifying the riddle on HPB’s occult ring and its entitled possessor. In the Blavatsky-Point Loma tradition it is believed that the original occult ring HPB wore with locket was given by her to Judge-Tingley-Purucker, while Annie Besant got a duplicate HPB had precipitated in London, which was an exact duplicate with the exception, that this duplicate has no locket as HPB’s original ring had. Unfortunately, there appeared no photos in Miss Benjamin’s article, in which she compares another, the Wachtmeister duplicate, which has a locket, with the ring of the then International President of the Adyar Theosophical Society, which has no locket. In her Berlin talks Elsie Benjamin once reported about an interesting incident of 1929 on HPB’s occult ring, then worn by Katherine Tingley, Leader of the Point Loma TS. 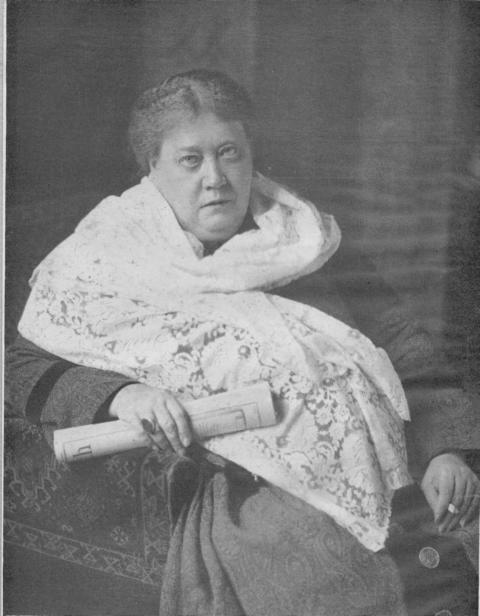 During the 1920’ies she developed much activities in Germany, trying to re-unite the various lineages including the Anthroposophists under her leadership in a “new Point Loma World Headquarters” - as she called it - in Erlangen near Nuremburg, an effort which failed in the end upon new quarrel about the legality of her Leadership. This information of oral history shows two things: First, that Tingley was aware of the fact, that her time has come and second, that Elsie Benjamin had direct knowledge to HPB’s occult signet ring, which she passed on to de Purucker, when he became Leader and Teacher for himself. By the way, some other important information of Elsie Benjamin as for example the existence of a third and fourth volume of HPB’s main work “The Secret Doctrine”, ready for the printer, was discussed since 1888. However, the newly un-edited and complete transactions of HPB’s London instructions by the Point Loma Theosophical Society supports this information , which came down to me in fourth or fifth instance from her father, who was a member of the Blavatsky Lodge in London during HPB’s lifetime. The following statement, titled as above, was written and signed by Elsie Benjamin and dated 2nd March 1979. She was evidently responding to some inquiry about HPB’s ring and, since there are various stories about it, thought it a good idea to keep Eclectic Theosophist informed. 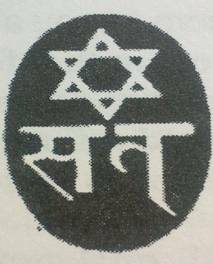 Mrs. Benjamin was a member of The Mahatma Letters Trust when it was first established, also editor, since its inception, of the monthly Corresponding Fellows Lodge Bulletin. In earlier years she was private secretary to Dr. G. de Purucker at Point Loma, from 1929 to 1942, but a year after the latter’s death returned, in the midst of WWII, to her native England, where she died September, 25, 1981. 1. 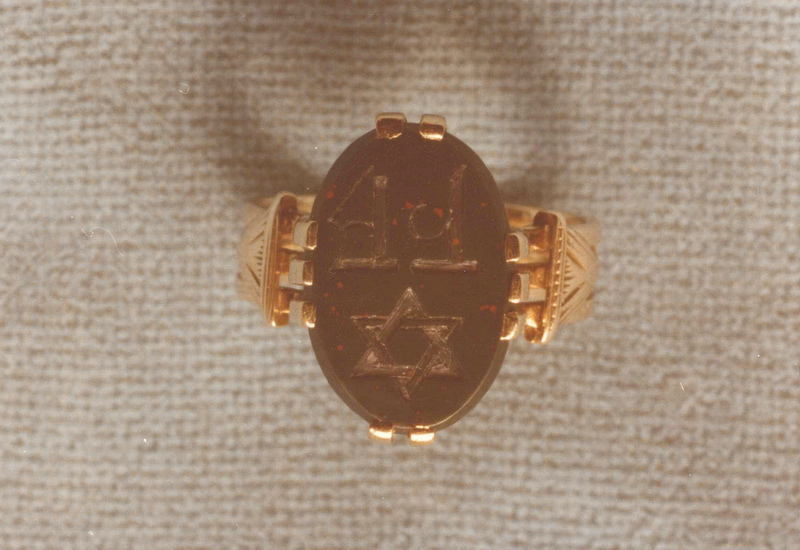 Olcott handed the ring to Mr. Judge – this was reported in one of the early Theos. magazines, according to E. W. Tillema, a theos. historian. 3. 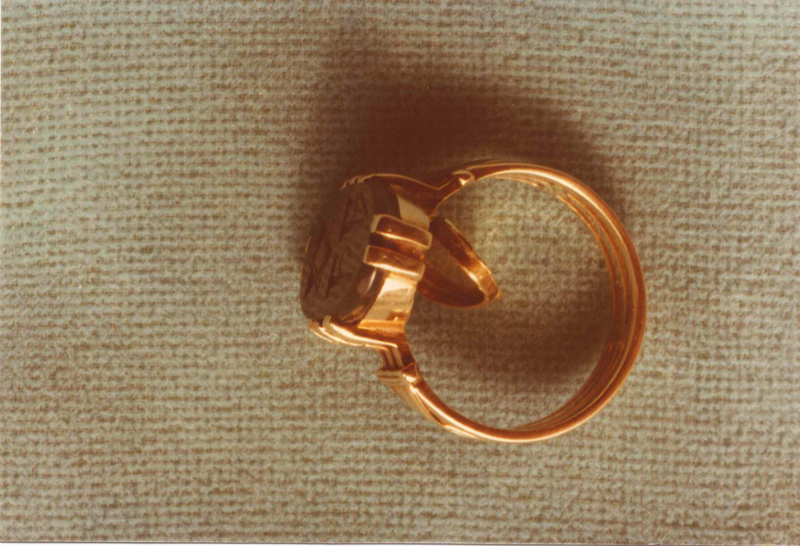 Whether HPB had a jeweler copy [of] her ring, or whether she ‘precipitated’ it, is anybody’s guess. Christmas Humphreys believes it was precipitated. 4. Mrs. Klingstrand gave the ring to me because when she was wondering one morning to whom she should leave it, the mail brought her copy of the CFL Bulletin, with “Following the Blavatsky Tradition”, so she thought I was the one to have it. Not wanting to wait till her death, nor to send it by post, she decided to come over to England to give it to me. She had said nothing to [me] about the ring, but I told Harry [her husband] that as I had received so many courtesies in Sweden from FTS, I thought it would be nice if we invited Mrs. Klingstrand down for a day or two, which gave her the opportunity she wanted. 5. My ring of course has a locket, but so well fitted that unless one is looking for it, it can easily be missed. When Boris de Zirkoff some years ago was in Wheaton while Sri Ram, then International President, was there, and wearing his ring, Boris asked him if it had a locket, and Sri Ram assured him it did not. He took it off his hand and showed Boris. 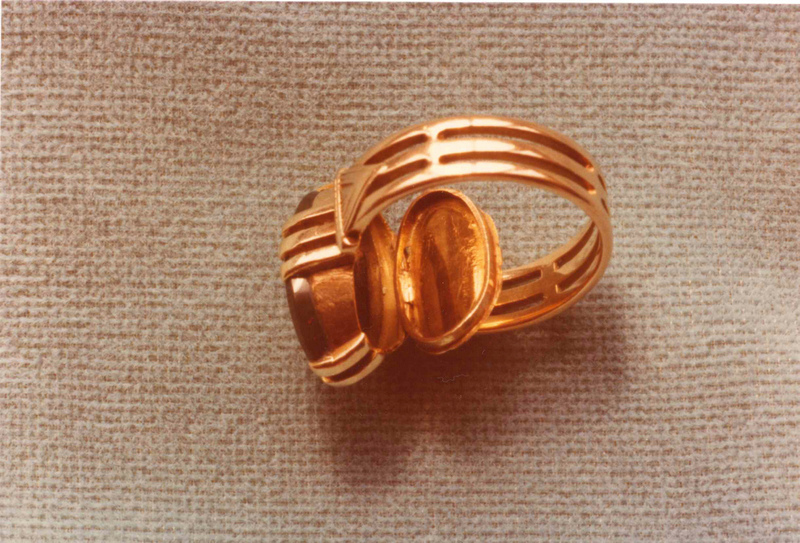 It is this ring which Annie Besant had after HPB’s death, claiming it to be the occult ring; but Judge had told her it was not, but was a substitute, that he had the occult ring. 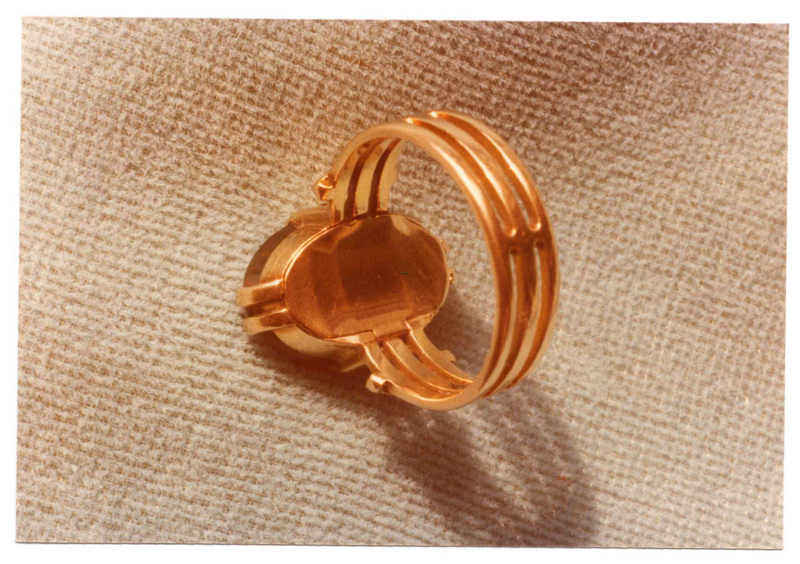 Annie Besant’s ring has been passed down from President to President, and is presumably the one that John Coats now has. 9. About the stone in it: It has at times been called an agate, but HPB said it was a bloodstone. Mrs. Christmas Humphreys, herself a jeweler with her own registered ‘hall mark’, told me the misunderstanding evidently came because some people think a bloodstone is red. It is not, except that when held to the light, it shows a red glow. To double check, I took mine down to the leading jeweler in Worthing, and asked what stone it was: “The lady instantly said ‘Bloodstone’. “Not an agate?” I asked. “No”, she replied, “I know, my own birthstone is a bloodstone”. It is significant that the Encyclopedia Britannica states that the bloodstone stands for Martyrdom! 3. She has a rolled up magazine in her “occult hand”. 4. It is “The Path” magazine of William Q. Judge, which is “pure buddhi”, as she wrote. Ernest Pelletier: “The Judge Case. A Conspiracy Which Ruined the Theosophical Cause”, Edmonton 2000. On de Purucker’s explanation of the serial succession of messengers of the Masters of Wisdom cp. “The Theosophical Forum”, July 15, 1932, question No. 94 and “The Eclectic Theososophist” No. 111, May/June 1989, p. 3-4 and the chapter “The Esoteric Succession of Teachers: 1. Messengers from the Lodge if the Masters, 2. The Insignia Majestatis in his “Esoteric Teachings, vol. II., San Diego 1987, pp. 121ff. An edited version of this esoteric instructions was also published in 1974 as “Fountain Source Of Occultism”, http://www.theosociety.org/pasadena/fso/fso-ap.htm#messengers. Kenneth R. Small: “The Conger Papers 1945-1951, Part 1”, in: Theosophical History, January 2000, pp. 11-34. Elsie Benjamin: “Facts About HPB’s Occult Ring”, in: The Eclectic Theosophist, March/April 1985, pp. 3-4, typos corrected and comments in brackets; German translation in: “Der Theosophische Pfad”, Nov./Dec. 1985, pp. 16-19. 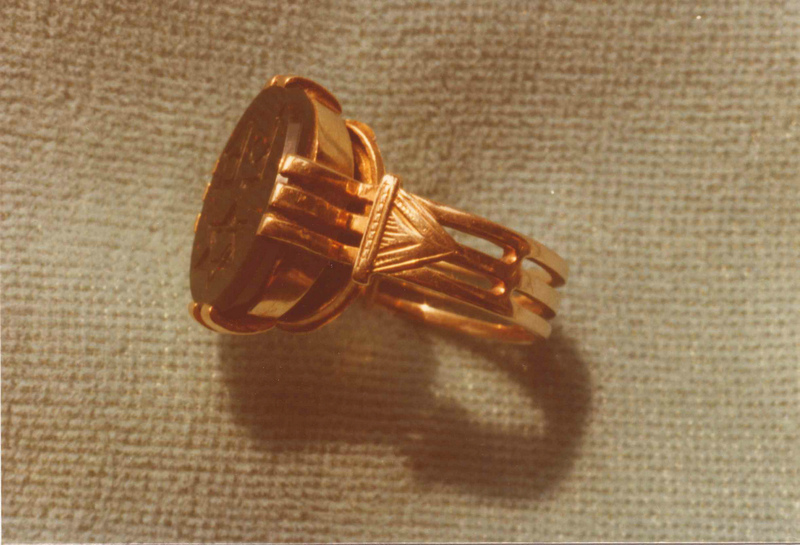 Ernest Pelletier: “Regarding H.P.B.’s Signet Ring.”, in: The Judge Case, op. cit. pp. II:116-119. Emmett A. Greeenwalt: “California Utopia: Point Loma: 1897-1942”, San Diego 1978, p. 192-3.
 Review of Prof. Peter Laur’s article “A German-Baltic background of 'Theosophy'?" by Frank Reitemeyer, in: Fohat, Summer 2006, www.theosophycanada.com/fohat_HPB_Geneology.html. H. N. Stokes: The Judge “Occult Diary”, Vindication of Tingley, Hargrove, Fussell, O. E. Library Critic, September 1932, pp. 12-13, online: www.blavatskyarchives.com/stokes/stokeswqjkt1.htm, brackets added. Annie Besant in “Lucifer”, June 15, 1895, pp. 269-70.